How to make the best Peanut Butter Cookies! These thick and chewy cookies are full of sweet and salty flavor! 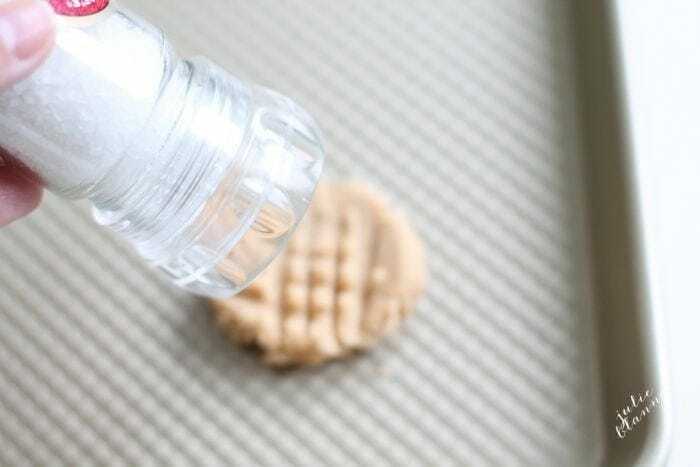 Get the secrets to the best Peanut Butter Cookie recipe. From the look of my Facebook post last week, it seems you loved my Marshmallow & Peanut Butter Cookie Cobbler Recipe. As I mentioned, I make full batches of cookie dough, but usually freeze at least half of it for cobblers, “just one cookie” moments and when the girls’ school requests them last minute. I consider Chris a cookie connoisseur. If there is a cookie in sight, he’ll test it. He can’t resist my peanut butter cookies! They’re the perfect combination of sweet and salty, soft, yet chewy and crunchy. These cookies are rich in peanut butter flavor. They’re even more amazing warm! Serve them just out of the oven or warm them up for 10 seconds in the microwave for the ultimate treat! Peanut Butter cookies are classic for a reason! 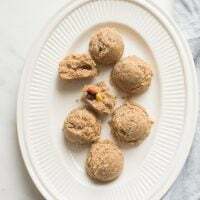 They’re quick, easy and made entirely from staple ingredients including peanut butter, butter, brown sugar, sugar, vanilla, egg, flour, baking powder, baking soda, flour and salt. 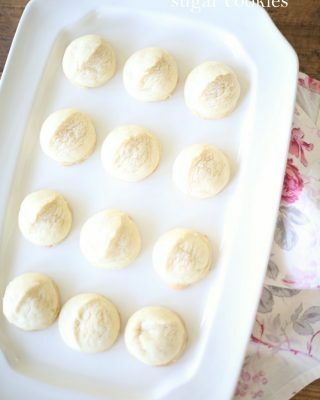 The addition of baking powder gives these cookies a little added rises and balances the acidity of baking soda. The combination also results in a beautiful brown color when baked. 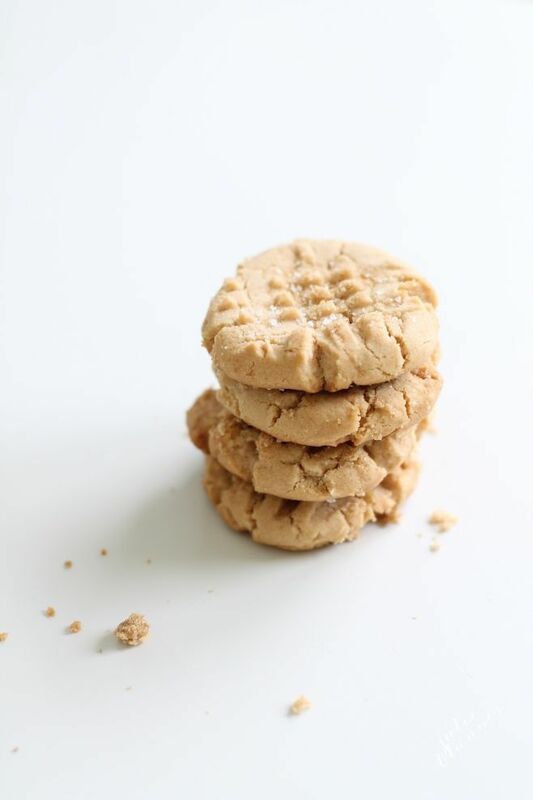 There’s just a few steps to make these simple Peanut Butter Cookies. 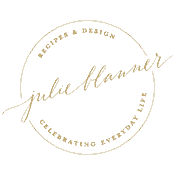 If you want to skip my tips, tricks and secrets, you can scroll to the printable recipe card below. Cream the butters, sugars, and vanilla in a large bowl. Add eggs. Gradually blend dry ingredients into peanut butter mixture. 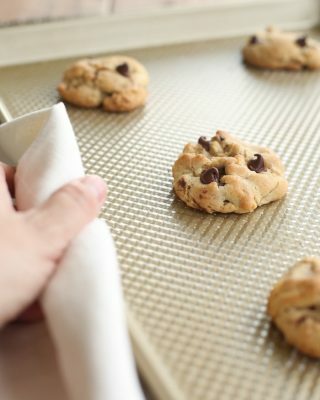 Drop dough balls onto a prepared baking sheet or sheet lined with parchment paper. First, I roll the dough into balls. The key to their size and shape, as with most cookies, is refrigerating the dough. I know it’s hard to wait, but so worth it! 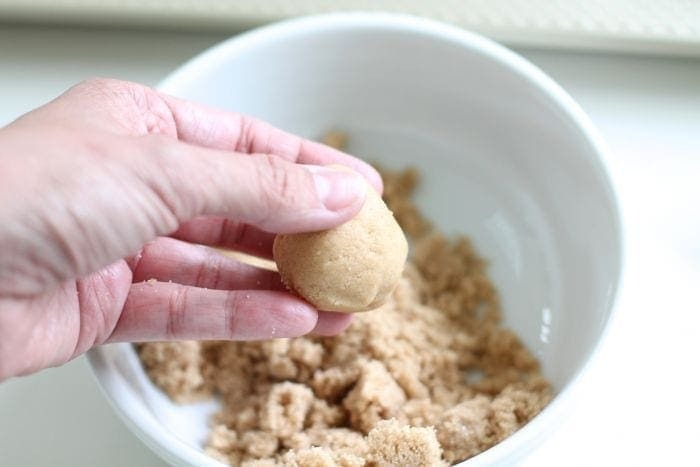 Roll your peanut butter cookie dough in brown sugar for a little added crunch. 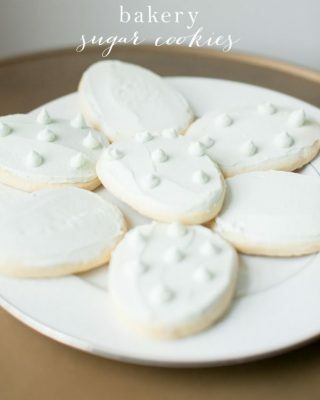 Granulated sugar adds great texture and makes these cookies stand out among the rest! Press the dough in a criss cross pattern with a fork on the baking sheet. This gives them pretty bakery style design. Add a few cracks of sea salt on top just before baking. This takes ALL cookies and cookie cakes OVER THE TOP! And add a little crack of sea salt to top. Set your salt grinder for the thickest flakes. They’re pretty and add the incredible flavor to this sweet and salty recipe! Of course you don’t have to stop there! 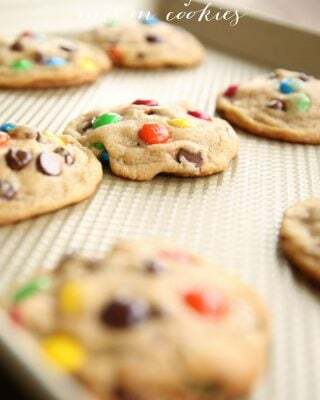 You can add in chocolate chips, nuts, M&M’s, Reese’s Pieces, or Reese’s Peanut Butter Cups! The options are endless! Can You Use Natural Peanut Butter in Cookies? 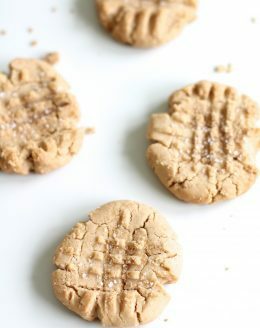 You can use natural peanut butter to make these peanut butter cookies, however, you may want to add a touch of salt. Natural peanut butter is often made from only nuts, and therefore is unsalted. Regular peanut butter is made with oil and sugar so that it lasts longer. While I prefer creamy peanut butter, but you can use crunchy, too. Use whatever peanut butter you have and love! Peanut Butter infused desserts and treats! 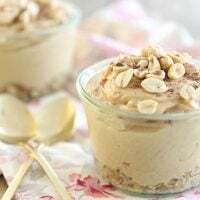 Decadent Peanut Butter Pie with an oatmeal crust (gluten free)! 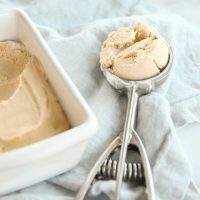 Creamy Peanut Butter Ice Cream makes an amazing dessert on it's own or can be used to top warm brownies and cakes! 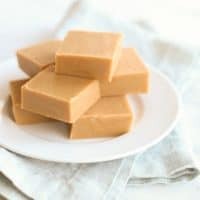 With just 6 staple ingredients and 10 minutes hands on time, this easy peanut butter fudge recipe makes the perfect treat! 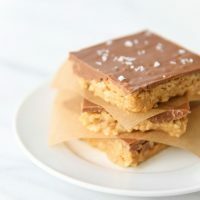 No Bake, no fuss crunchy Peanut Butter Bars. 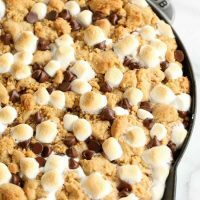 Wow your guests with this easy and amazing dessert adults and kids alike will love! Made with staple ingredients, these gluten free cookies are the ultimate sweet and salty treat. No bake cookies with a sweet surprise inside. How to make the best Peanut Butter Cookies! 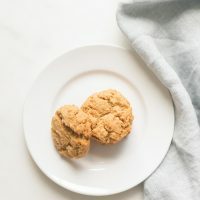 This soft Peanut Butter Cookie recipe has a nice outer crunch and is full of sweet and salty flavor! Cream butter, peanut butter, sugar, brown sugar and vanilla until smooth. Beat in eggs until just incorporated. Combine flour, baking powder, baking soda and salt. Gradually blend into peanut butter mixture. Roll into dough balls. Optional: roll in brown sugar. 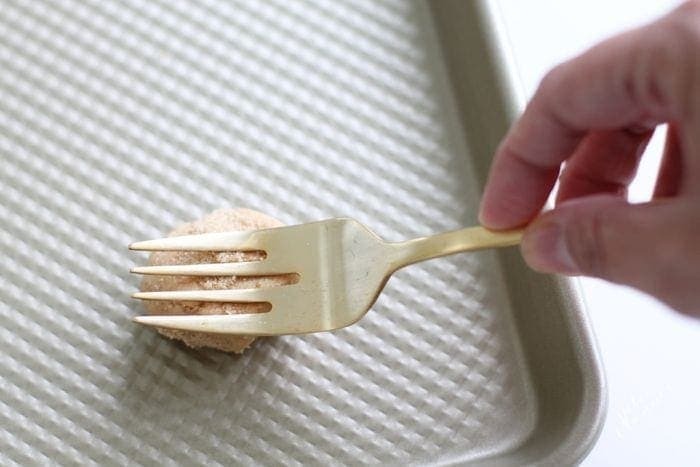 Press dough balls onto cookie sheet with the back of a fork. Add chocolate chips, nuts or Reese's Pieces. Such lovely photos of your peanut butter cookies! These sound heavenly! I haven’t added sea salt to the tops of mine yet, but I don’t think you can go wrong there! 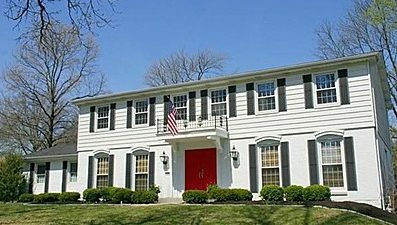 A few days when stored properly. They will love them! These look delicious. I haven’t made them yet, but just pinned to make soon. 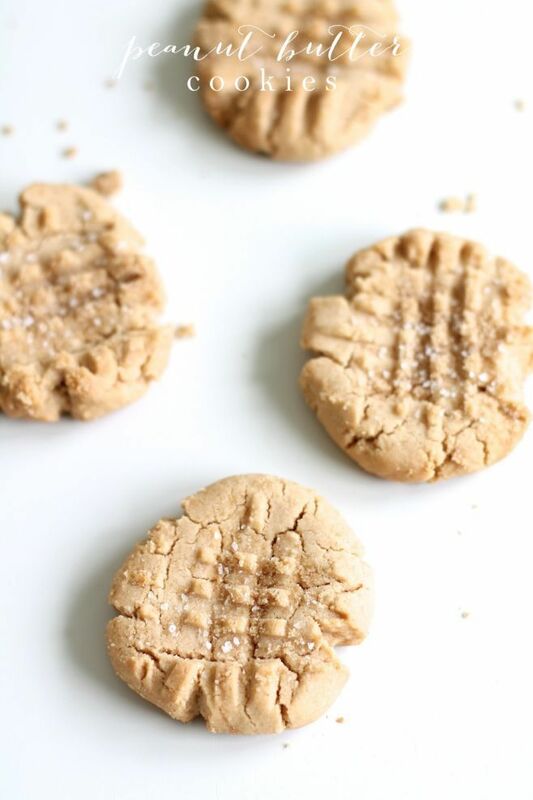 I love peanut butter cookies, and think the addition of the sea salt at the end is wonderful. There’s not better than that sweet and salty combo. This is the first time I’ve been out to your site. Your pictures are beautiful and it looks like you’ve got some great stuff on here! 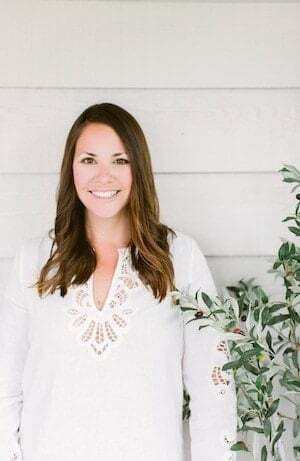 Thank you, Danielle! You are so sweet. Have a beautiful day and enjoy these tasty treats! I just tried these cookies last night and they were absolutely delicious (I think I will cut the recipe in half next time though). However, I didn’t leave the dough in the fridge long enough (I’m so impatient), so the cookies came out rather flat. But they were so good I’m going to try again! Refrigerating the dough makes all the difference in the world, but I can often be impatient as well. Sometimes I’ll freeze the other half or make a “cobbler” with it. Glad you enjoyed them! Have a great weekend!